Mention that you saw our website or Google page and receive $50 off orders of $500 or more! When you need floors or carpets installed, there is no better company to call than B & L Carpet & Tile. With twenty-five years of experience, we are experts in installing all types of flooring options and are not satisfied unless you are. 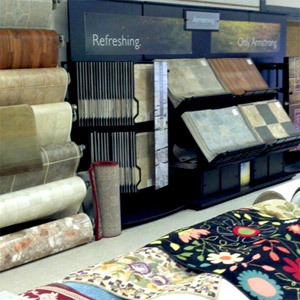 At B & L Carpet & Tile, we bring the very best to flooring installation in Halifax County, VA. Since 1989, our company has been in the business of providing expert solutions to our customers’ flooring needs. By honing our craftsmanship over the years, we are able to take on any type of job, large or small. Our customers choose us because we are detail oriented, careful and knowledgeable. When we do a job, we do it right, and our customers’ satisfaction matters to us. Whether you need carpet or hardwood floor installation in Halifax County, VA, we’ve got you covered. We are experts in installing all types of flooring and carpet. We sell a variety of high quality flooring options. We bring years of experience to the job. We provide both flooring and carpet repairs. Our prices are competitive and our service is quick. For flooring and carpet installation or repair, call B & L Carpet & Tile and find out why our customers count on us to provide the highest in quality.